Location: Boffres, in the Ardèche departement of France (Rhone-Alpes Region). 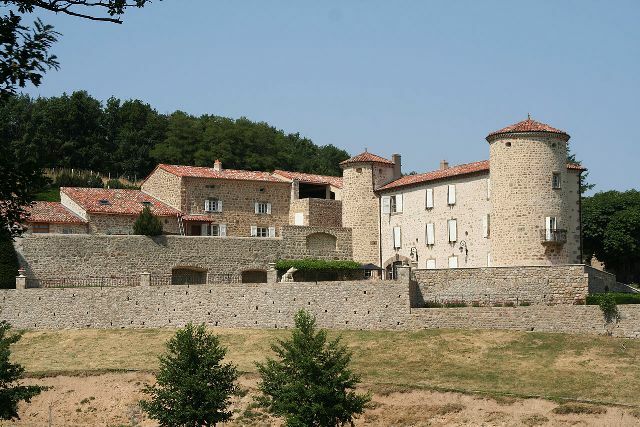 Notes: Château de Cachard is situated on the town of Boffres in Ardeche. Château de Cachard is a stronghold of the fifteenth and sixteenth centuries. It is characteristic with its round towers with flat roofs. This is the former home of the Bouvier family Cachard. In 1786 or 1791 to 1792, the young Corsican lieutenant whose name was not Napoleone di Buonaparte Frenchified would have stayed several times because he was a friend of Annet Christin Bouvier and Jean Humbert Bouvier, Count and Cachard lieutenant of artillery in Valencia. The current owners have arranged a private zoo. Deer, wild boar, mouflon live there in semi-freedom.